The Portola Hotel & Spa is full of exciting changes as we close out 2015 and venture into 2016. The first project we are working on is the enhancement to all our guestrooms with a full bathroom remodel. This bathroom renovation is in its final stages of completion with 265 guestrooms already completed. We plan to finish an additional 94 bathrooms in early February 2016 and the final 20 will be completed by May 2016. 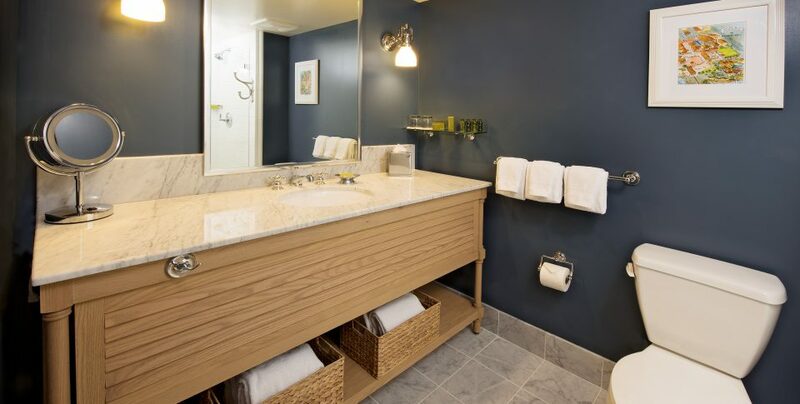 This full remodel includes several “green” features, as well as modern updates with a nautical feel to align with the atmosphere of the guestrooms. 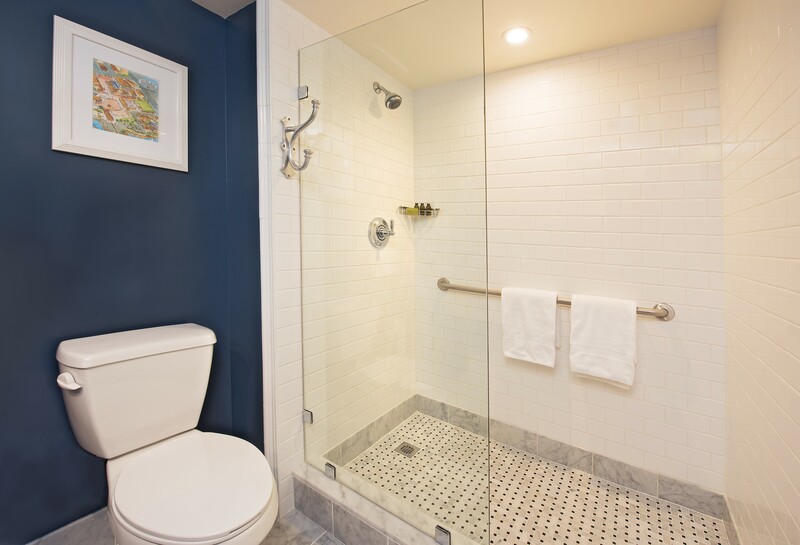 The renovation includes: taking down the bathrooms to the original framework and entirely re-building with a crisp new look, new features and amenities. 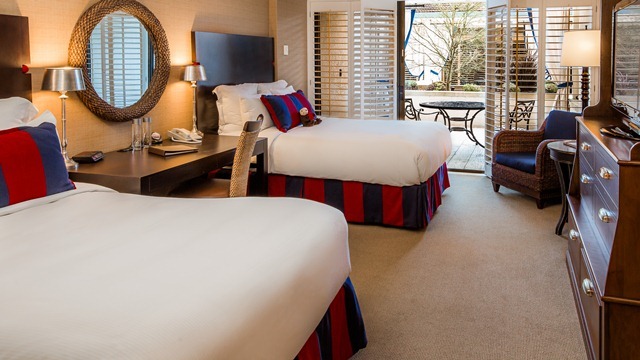 And as you can see from the photo, they tie in beautifully with the existing décor of our nautically inspired guestrooms. Additionally, a significant amount of the construction waste has been and will continue to be recycled. As part of our mission, we strive to be the premier environmentally friendly hotel property on the Central Coast of California and part of protecting the environment through practicing green initiatives, includes providing a better guestroom environment for our guests. We have plenty more planned in 2016 and will keep you updated via our blog, social media channels and our Portola Hotel & Spa website.